Not everyone knows that in addition to jeans, shoes, dresses and some of the coolest apparel on the market, fashion design masters Calvin Klein also make beautiful furnishings. 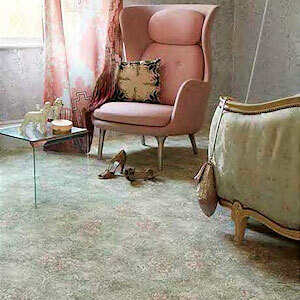 Their range includes a particularly opulent collection of sumptuous rugs. Thanks to being one of the world's largest and most well-known fashion brands, Calvin Klein's furnishings give modern homes an edge. Here at Vale Furnishers, we are proud to offer a selection of beautiful Calvin Klein rugs, exhibiting carefully handwoven colours, textures and clever effects. Whether it's a hand-loomed, hand-dyed ombre effect piece or a striking representation of mountain stone, you can't go wrong with a Calvin Klein rug.